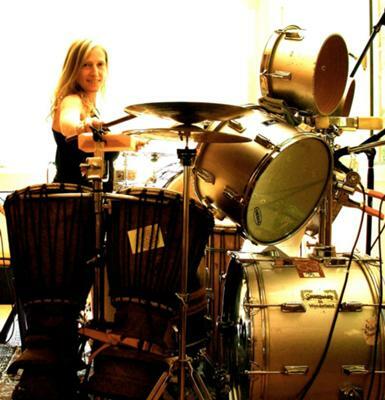 Want to see more of the female drummers in this website and some of Female-Musician.com's other favorite female instrumentalists? Visit our YouTube Channel at the link below. 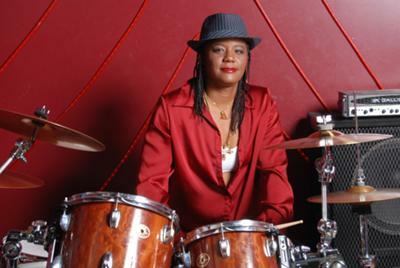 This page fills up with more and more listings for female drummers as you contact us to be included. Find out how you can get a listing like the ones below, RIGHT HERE! Pro drummer w/29 years experience as South Florida working session drummer, live/freelance, studio. Rock/all eras, RnB/Funk, Blues, Country, Contemporary Jazz. Jelena is drummer for Punk~Reggae~Dub band, "The Socks" - Vuk/bass, Jelena/drums, Čuki/vocals and Šomi/sound. Playing drums since age six, I also play guitar, bass, & uke. Currently attending performing arts school studying Jazz Performance. San Diego, CA - U.S.A.
Pop/ Punk Rock style drummer, able to play keys, bass, and sing... in a band in San Diego, THE TOUCHIES. Female drummer currently living in Austin TX. Played in a successful all-girl cover band. Currently playing in original band "Lies a bloom". I've been drumming for 15 years. I'm 24 now. My drumming has been influenced by 15 years of tap dancing. Former drummer for Johnny "Guitar" Watson~~Stickin' 2 it~~Professional musician and recording artist, available for live/studio engagements world wide! Shop for Drums at GuitarCenter.com. Shop at The Woodwind & The Brasswind for Drums and Percussion gear. Huge Discounts on Music Gear at zZounds Blowout Central . Shop for Drums and Percussion Gear at Sam Ash.